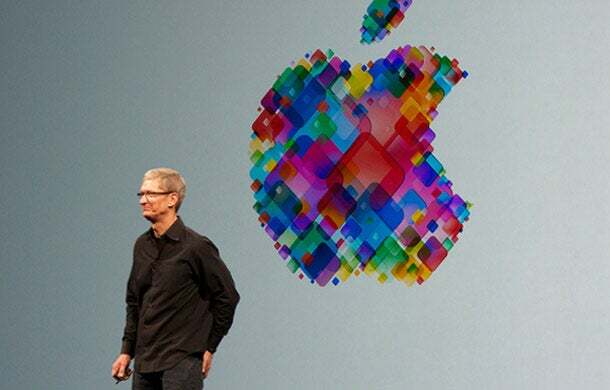 In the message, signed by Tim Cook and uploaded to Apple's website late Wednesday, Apple said that its business was to sell great products and not to build a profile based on customers' email content or web browsing habits to sell to advertisers. "We don't 'monetize' the information you store on your iPhone or in iCloud. And we don't read your email or your messages to get information to market to you. Our software and services are designed to make our devices better. Plain and simple," the letter said. "A few years ago, users of Internet services began to realize that when an online service is free, you're not the customer. You're the product. But at Apple, we believe a great customer experience shouldn't come at the expense of your privacy." Apple's rivals, including Facebook and Google, offer a free service to users but have been criticized in the past for their privacy policies. Facebook uses the information it has on its users in connection with the advertisers that purchase ads on the site. Its new messenger app has left some customers disgruntled with permission that says Facebook can edit, receive, read and send SMS messages. Google, meanwhile, uses its information to offer tailored content – like more relevant search results and ads - and has been in a long running battle with a French regulator over its privacy policies. Cook also stated in the letter that Apple had never worked with any government agency from any country to create a "backdoor" in any of its products or services. This comes after reports last year that the National Security Agency in the U.S. had managed to procure information from the central servers of leading Internet companies. "We have also never allowed access to our servers. And we never will," he said. Apple is currently investigating a high-profile leak into several of its iCloud accounts earlier this month. Photos and videos of Hollywood actresses were accessed and posted all over the web but Apple has blamed the incident on a targeted attack rather than a breach of any of its systems. In response Apple has announced it is to ramp up its security procedures and has included a two-step authentication security system when backing up files on its iCloud service to avoid future intrusions. In 2011, Apple also came under scrutiny and criticism after researchers found that an iPhone could track where users went. These coordinates were then saved to a file which was copied to a owner's computer when the two devices were synchronized.